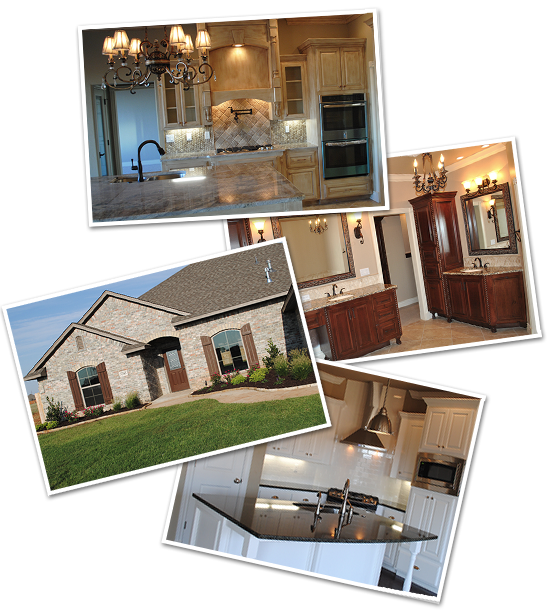 Oklahoma Home Builder - Custom Homes - Sheryl Homes Inc.
Sheryl Homes, Inc. and Willingham Homes, Inc were formed by Ron and Sheryl Willingham. They have over 35 years of experience in building new homes in Southwest Oklahoma. They began their marriage and careers in real estate after graduating from Oklahoma State University in the early 70’s. They raised two daughters in Altus, Oklahoma. Real estate ventures soon lead to ownership of car washes, restaurants, mini-storage rentals, home and commercial rentals, and now condominiums in Florida and Colorado. Their partnership has helped develop a professional building business. Ron acquires and develops the land for home additions and Sheryl manages the operations, plans, and sales of new homes. This winning combination is proven with many satisfied home owners. Their youngest daughter, Candace, joined the Sheryl Homes Team in 2009. Candace works alongside Sheryl and handles all marketing and designing of new homes as well as working directly with buyers to customize their homes. At Sheryl Homes, we pride ourselves in the details of construction. Just drive down one of our streets, and the curb appeal will speak for itself! We personalize each home to make it feel truly custom to each buyer. We are the exclusive builder in the Laurel Homes Addition. This ensures the quality of the neighborhood for continued appreciation of your new home investment. Sheryl Homes’ office is centrally located close to our development, Laurel Homes, with a full time office staff there to offer customer service during and after the new home experience. We create “Quality Homes with A Personal Touch” by using local contractors and purchasing materials locally whenever possible. Most contractors have been a part of our team for an average of five or more years, with many over 10 years of service. We use the same contractor teams on each home to ensure accuracy and consistency of quality. Sheryl or Candace visit the job site DAILY to ensure every detail is correct. This also helps to keep our home projects on time. At Sheryl Homes, we strive to meet our buyers needs by having homes in progress and lots available to build a new home from scratch. We prefer to work directly with a homeowner, so no realtor is needed to complete the transaction. You can select a home in progress and customize it based on the stage of construction. We occasionally will have homes that are move-in ready. Select a Lot and a floorplan from our custom collection and build from the ground up. We develop a specification sheet that details what features are included in the price and what are considered an upgrade. The selection sheet also identifies what is available for the buyer to customize. Ready to buy? Sheryl Homes will need a letter of pre-approval and deposit money, which is typically $5,000 (based on sales price and amenities included). The deposit money will be held in Sheryl Homes escrow account and will be shown as a credit at closing. The buyer will work with their lender on how to apply the deposit money. It can be used to pay closing cost, reduced the amount mortgage or received as cash at closing if 100% financing is chosen. We accept all types of loan programs, such as VA, FHA and conventional. We ask that you work on your pre-approval at the beginning of the process. RELOCATING to Altus? New Home Construction is an option! Sheryl Homes offers complete customization long distance. Many of our Homeowners relocate to Altus and can’t fit a house hunting trip into their calendar before they need to report to a new job. We have developed a process to make the selections process virtual! With the help of emailing of photos, Facetime, and vendors websites, we are happy to accommodate this request. We break the selection process into three phases, so the process doesn’t become overwhelming. We are here through every step to guide the buyer through the process. Sheryl runs the day to day operations of Sheryl Homes. She is on the job site daily to ensure quality at every phase of construction. Her attention to detail has produced many satisfied home buyers through the years. 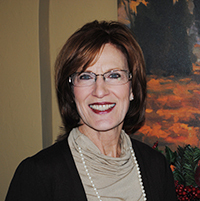 In her spare time, Sheryl enjoys spending time with her grandchildren, Isabella and Addyson. Candace was raised in the Altus area and attended Navajo Schools. After graduating from Oklahoma State University with a degree in International Business and Marketing, she spent 9 years in Dallas, Texas. Candace’s career focus has been in sales and marketing in the tax software and consulting services industry, with 5 years at Automatic Data Processing (ADP). She looks forward to continuing the strong tradition her parents have created at Sheryl Homes, Inc. The streets in the Laurel Homes addition are named after our family members. From Left: Sheryl Willingham, Isabella Jones, Stephanie Willingham Jones, Addyson Jones and Candace Willingham Braddock. and detail we put in each home. It’s not just a house; it’s your family’s new home!